Hello, friends! It was lovely to meet quite a few of you at my fit workshop in Nashville last weekend. I always look forward to getting to know you in person. And since I spent lots of time sitting in airports and planes on the way home, I have plenty of great weekend reading links for you this weekend. But I’ll keep today’s post short so I can go catch up on the work that didn’t get done during that time. Just in case you missed it, Shelley’s tutorial for the V-neck Metro Tee (or School Bus Tee) was clearly a big hit, and so well written! And don’t forget the Butterfly Skirt sew-along, which ends today, as well as the related give-away and contest, which ends next week. I hope you’ll enter. We’ll be back next week with Meredith’s favorite pattern (hint: it’s for boys and girls), as well as a really cute leggings tutorial. In the meantime, what are your sewing plans for the weekend? I’m thinking about a gingham Everyday Skirt, and S needs a longer chambray Lazy Days Skirt. Plus, she has some ribbon she’s been eager to use for the hem. It may just be a mother-daughter sewing date! 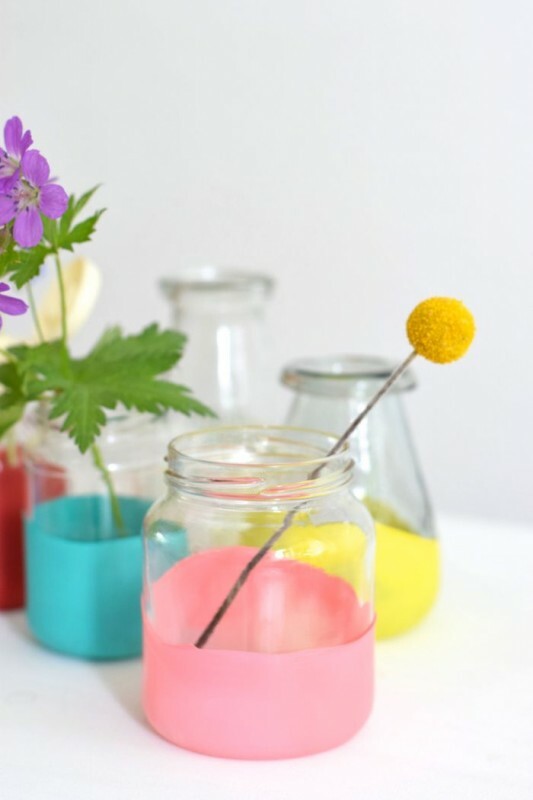 At first I thought these jar vases were dipped in paint, but they’re actually much more clever. The colored part is a deflated balloon! 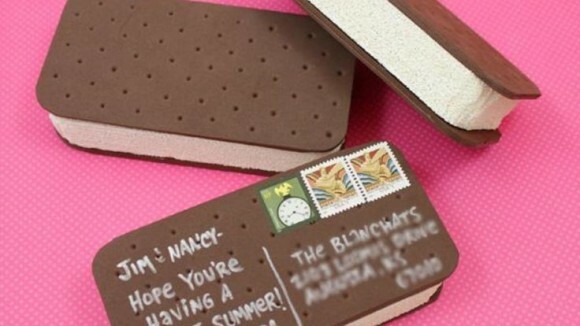 This adorable DIY ice cream sandwich postcard reminds me of our Keep Your Cool Smartphone Case sewing pattern. So pretty. This is a perfect summer quilt. 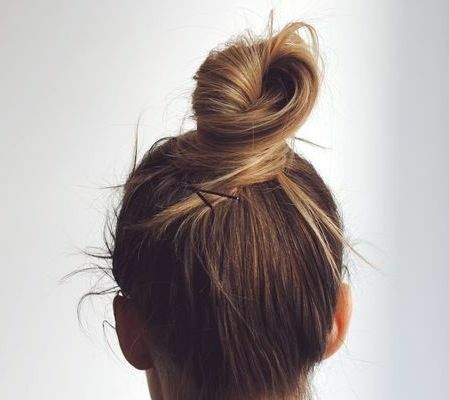 The perfect summer hair style. Someone sitting in front of my on the plane the other day was wearing her hair like this, and it was really cute! I recently started wearing a Fitbit that tracks the number of steps I take every day (and now I understand why comfortable shoes have become such a priority for me), how far I walk (at least five miles a day, it turns out), and how much sleep I get (not enough). So this article about the importance of sleep for clearing neurotoxins from our brains really hit home. Did you know that too little sleep actually causes too little sleep? If you’re an avid reader, you probably already know that reading can be therapy. But did you know that there’s such thing as a bibliotherapist? I’m thinking my sister Christy, who is a librarian and voracious reader, would be a natural at this. Those of you who are mothers, here’s a great reason to tell your kids to go wash their hands. Again. 2015 has been a year for learning for me. Learning more about sewing and patternmaking (I’m always learning more, which is what I love about my job), learning to play violin, and now learning Spanish. And this article about learning to do something well really makes a lot of sense. What new skills are you tackling right now? Did you see John Oliver talking about fast fashion? He does it with such a great sense of humor! Interesting links. I’m jealous of your 5 miles per day of walking. I am thankful for my job, but sitting at a desk all day is really not good for the body or the mind. It’s funny, Melani. I spend a lot of my day at the studio on my feet, but it doesn’t account to many steps! Most of the walking is in commuting around the city. Every errand adds up! Enhorabuena! Violin sounds tough. Isn’t Spanish cool? At first when I lived there I hated it after Italian but after a while I really got to like it, it’s kind of logical. I even got to prefer the sort of monotone intonation over the more musical Italian – after first feeling totally the opposite:). Great links once again, thanks:). I really must sleep more than 5 hours…. Love John Oliver! But I somehow missed the Fast Fashion bit. I have a few episodes to catch up with (getting my much needed sleep that clears out the neurotoxins). I am sure it is very tongue and cheek and hilarious to boot. Liesl, you’re right, and our town is so spread out that walking for chores isn’t possible. I do love the notion of living in a close city for that reason! Thank you for including that link in your #4 pick. So inspiring! I loved being in London and New York even if I did overestimate my own ability to take the twin-ankle special everywhere– my step count was through the roof and I just felt so much stronger and better (and slept like a rock). We’re also learning violin (not as quickly as you!) and I could go on at length about the many kinds of value in it, which are not specific to violin, I don’t think. I wish there were also Suzuki style ballet classes. 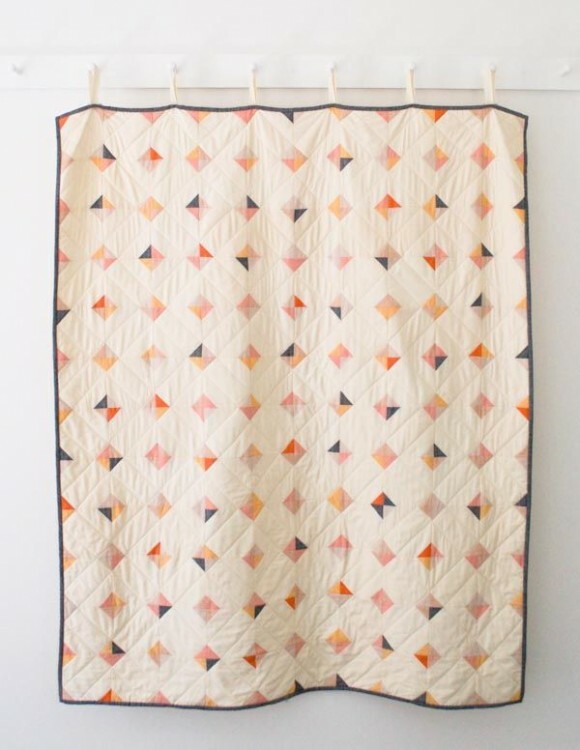 I saw and liked that quilt very much, but am wondering if there’s some kind of clever speed-piecing trick for minimizing waste. 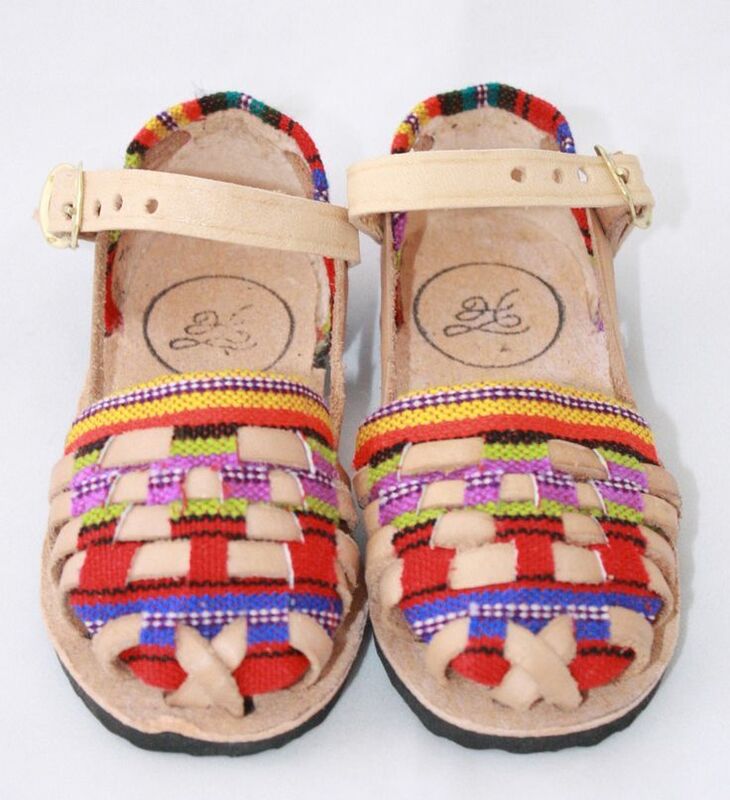 I don’t dare look at the shoe site. I have very little self control around cute shoes. I totally like your summer hair style, it looks awesome. Thanks for sharing. Will you be teaching another fit class any time soon? Liz, that was my last fit class for the time being. But stay tuned for other announcements and plans!